On 8th August 2018, Dickson Yu (余德丞) fell into a coma while playing football and was admitted into ICU at Queen Mary hospital. He was in grave danger condition and fortunately, his condition improved and Dickson was transferred from ICU to cardiology ward. He was discharged from the hospital on 7th September 2018 and hoped to have additional rest before making a comeback. After the discharge from the hospital, Dickson resumes to his normal life and updates his condition on Instagram at times. 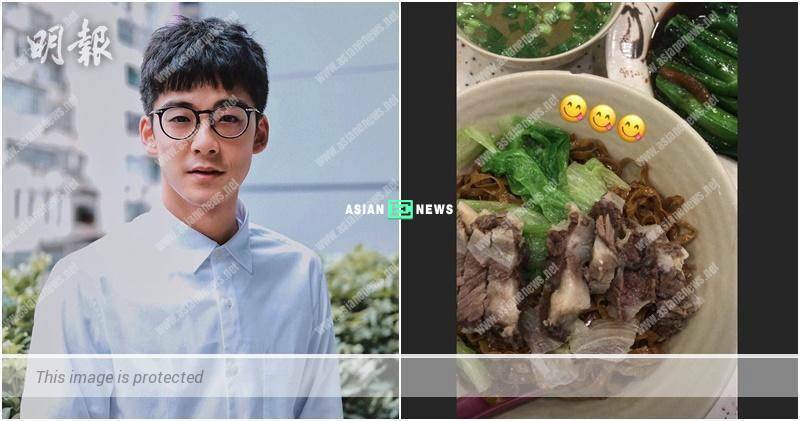 A few days ago, he uploaded photo of a bowl of noodles with pork cutlet and beautiful scenery on Instagram on 11th September. Dickson then shared another photo of delicious food and a receipt with the message, Get Well Soon from the staff on Instagram on 12th September. In addition, the media saw Dickson was wearing glasses and going out again. From the look of it, he appears energetic. Is expecting Grace Chan seeking advice from Winki Lai?